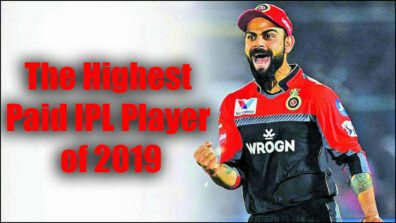 He is the star batsman and leader of Mumbai Indians. She is his better half, both on and off the field. 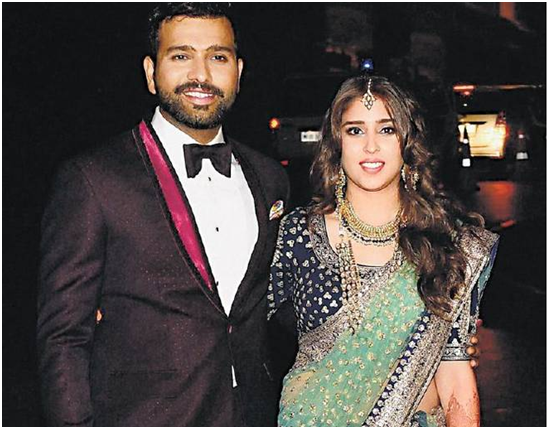 Mumbai Indians Captain Rohit Sharma and his wife Ritika Sajdeh have a typical filmy love story. 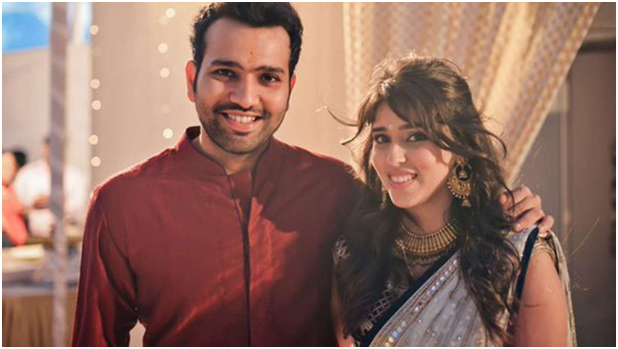 From working together to being best friends and eventually falling in love – Rohit and Ritika were always meant to be. 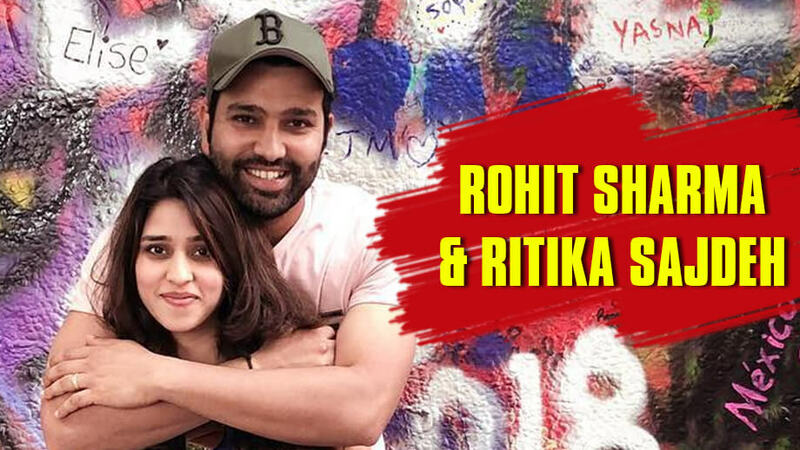 Back in 2008, when Rohit was only 20 was when he first met Ritika. 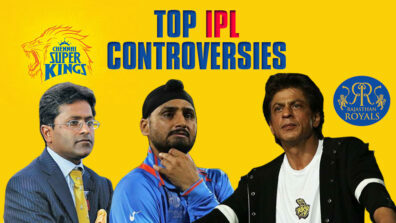 He was there for a Reebok shoot along with Yuvraj Singh and Irrfan Pathan. 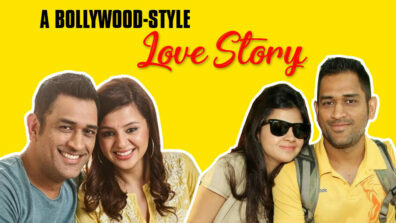 Ritika, being a sports manager and a rakhi-sister to Yuvraj, had accompanied them to the shoot too. Their first meeting went a bit interesting. 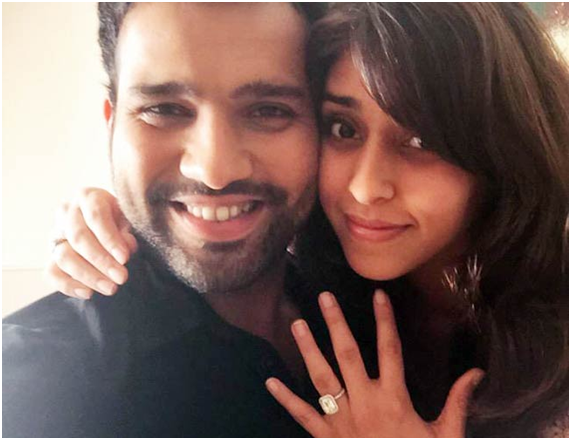 As Rohit went ahead to greet Yuvraj in his trailer, he saw Ritika sitting there. 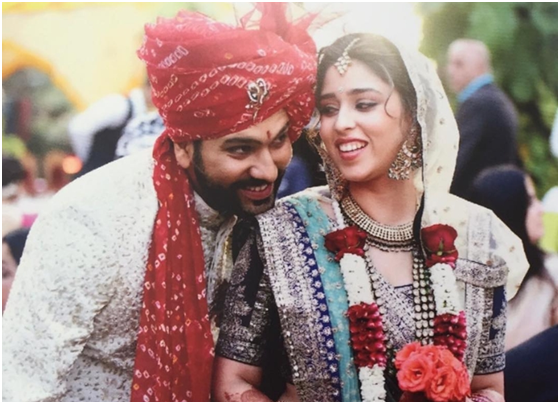 While introducing the two, Yuvraj played the protective older brother role and jokingly told Rohit to stay away from Ritika. 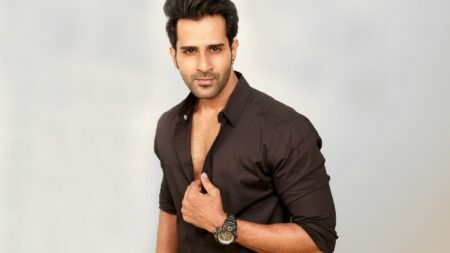 When the shoot began, Rohit was a bit nervous but he managed to do give the shot at the end. Although his efforts were wasted once the director told him they had to reshoot the entire thing since his mic was turned off. 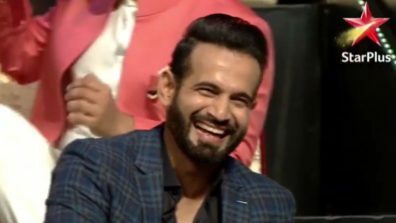 Naturally, Rohit got a bit frustrated and asked for a break. In came Ritika to save the day and ask him if he needed any help and managed to calm down the player. That’s how they became friends and eventually, she became his manager too. After becoming friends and then best friends, it did not take long for the two to transition into something more. 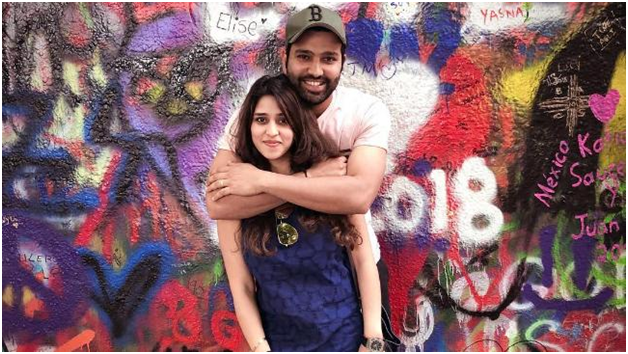 The couple dated for 6 years before Rohit went down on his knee to propose to his lady love. Rohit decided to go all out with a grand proposal and chose to do it in a place that held a lot of importance in his life. 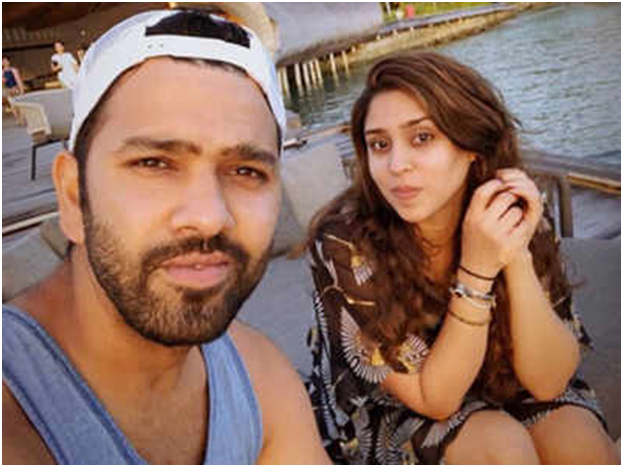 The Mumbai Indians skipper picked his girlfriend from her residence and drove all the way to Borivali Sports Club where he first started playing cricket at the age of 11. Post midnight, he got down on his knee with a solitaire ring and popped the question. Ritika accepted and the rest his history! 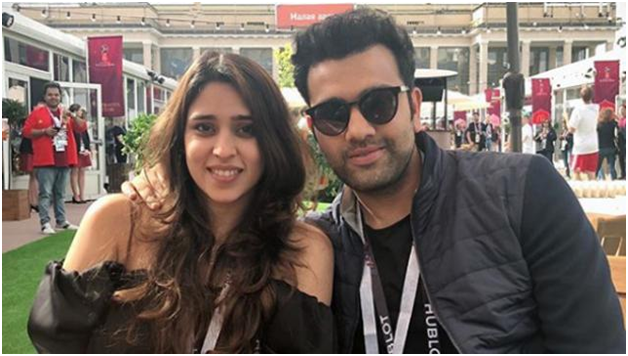 After getting engaged in April 2015, the couple tied the knot the same year on 13 December in Mumbai in a grand ceremony. 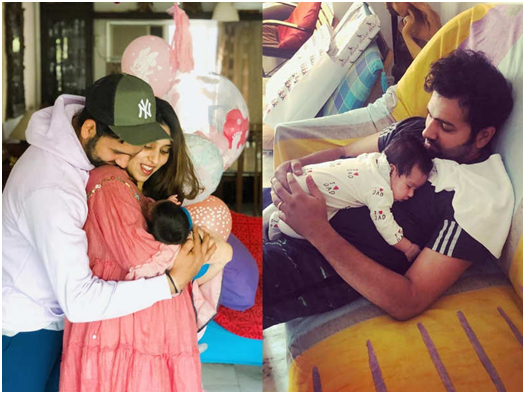 3 years later, Rohit and Ritika kicked off 2019 with wonderful news of their baby daughter being born on 30th December 2018. Isn’t this just the perfect love story ever?